In just a day, this project is completed, a version of The Clandestine Wrap! 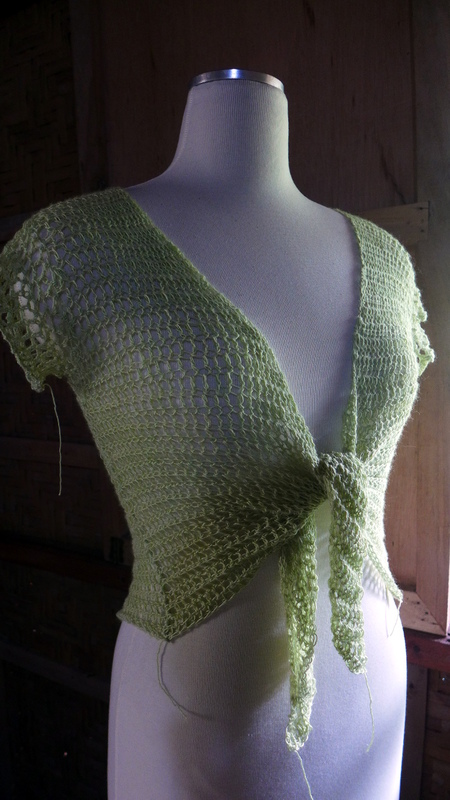 I used 4.5mm bamboo hook and Zitron Filisilk, a lovely lace/2-ply yarn of 70% merino wool and 30% silk, using 1 hank or 100 grams/600 meters to complete this top for a bust size 36". 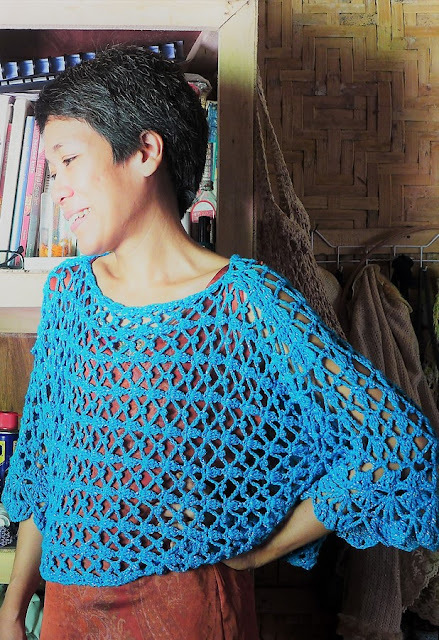 The pattern is a simple modification of The Clandestine Wrap, starting at the back, then joining the front left side and front right side to the back at the shoulders, then seaming the sides with gaps for the armholes. 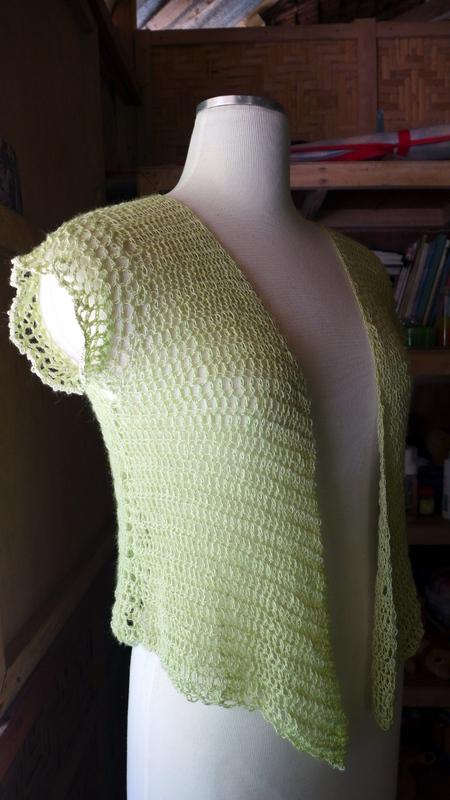 The sleeves are crocheted around the armholes. 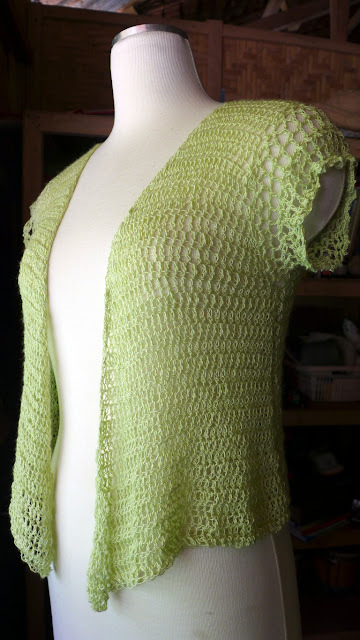 The sleeve pattern I used is different from The Clandestine Wrap, I used one round of (ch 5, sc), the next two rounds is (dc, ch 3, dc, ch3) then one round of (ch 5, sc), followed by the next two rounds in (dc, ch 3, dc, ch3), then one round of (ch 5, sc) which establishes the pattern for the sleeve. 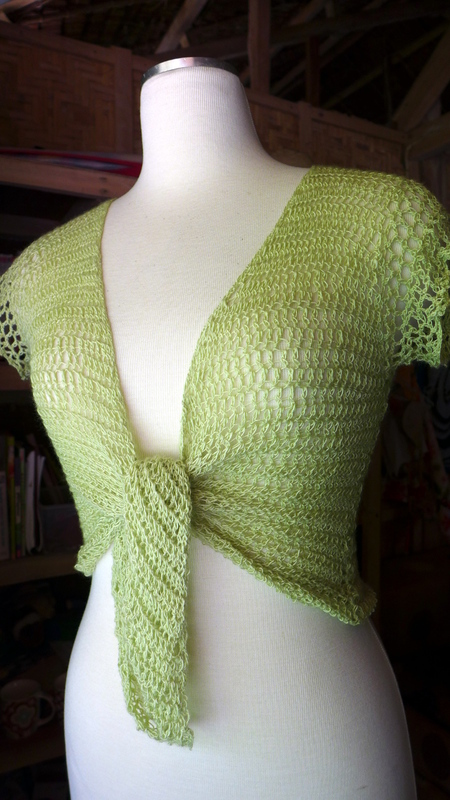 At this point, I want a short cap sleeve and end with one round of (ch 3, sc) followed by a trim of (3 sc, picot). 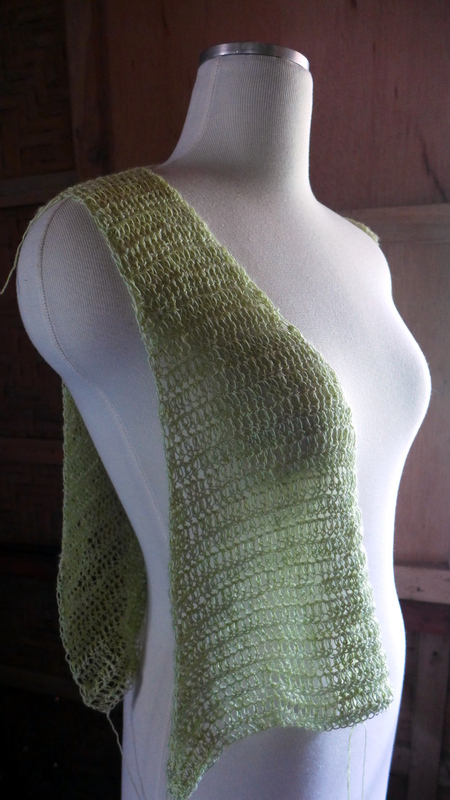 To strengthen the edges of the garment I worked one round of (sc, ch 3, sc) evenly all around the neck and hem. I didn't want the edges to be decorative, I only want a simple straight edge. The garment is intended to be worn over clothing, with the front open or tied as shown in the photos below. The construction is so simple and modifying is simple too, I hope you get to try it to start creating your own designs! Happy crocheting!